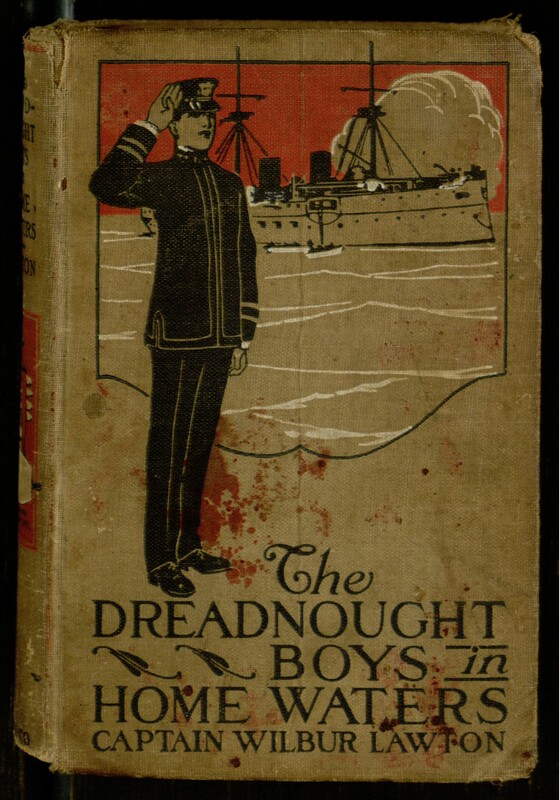 Our latest eBook release, produced with the help of Distributed Proofreaders, is the final volume of the Dreadnought Boys series of early 20th-century naval adventures, following our earlier releases of The Dreadnought Boys on Battle Practice and The Dreadnought Boys on Aero Service. 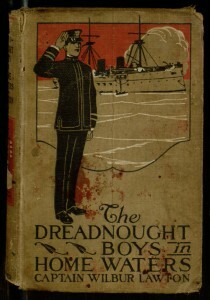 This time around, in The Dreadnought Boys in Home Waters, heroes Ned Strong and Herc Taylor are temporarily promoted so that they can command a small ship during a war simulation, but they soon find themselves embroiled in a plot forged by traitors and foreign spies. As usual for the series, there is plenty of action and not a lot of subtlety. To a greater degree than in earlier volumes discussed here, the period’s racism is visible through the book’s decidedly unflattering portrayal of the Japanese. While the book is unlikely to bring much joy to the contemporary reader on its own merits, it does serve as another interesting document of how military themes were being presented to young readers just before the start of World War I. As usual, the full text of the book may be read online or downloaded through Project Gutenberg.